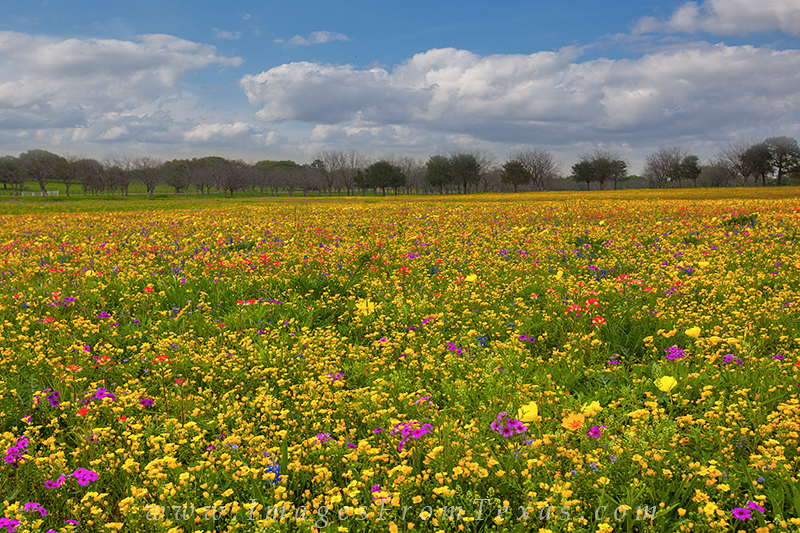 A splash of yellow brightens up this wildflower field near New Berlin, Texas. Each spring, this location seems to come alive with color - you just never know which color - red, gold, purple, blue. But it is always worth the trip in late March or early April. Photo © copyright by Rob Greebon.